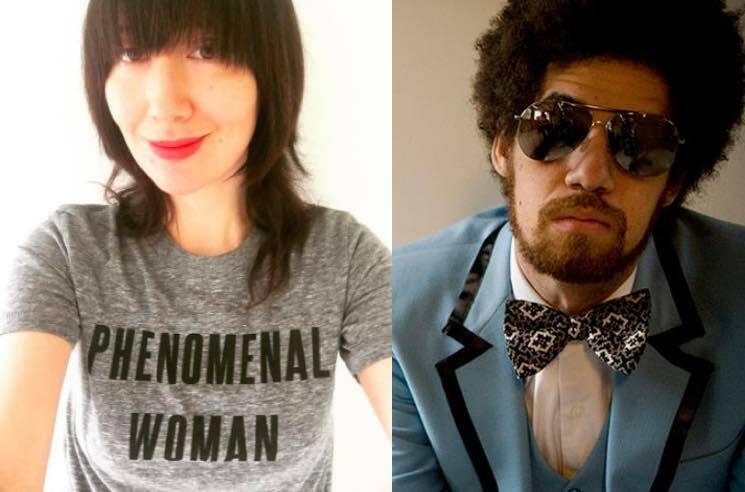 Yeah Yeah Yeahs frontwoman Karen O and super-producer Danger Mouse have revealed plans for a collaborative record. "After making music for the past 20 years and embarking on making this record with Danger Mouse I knew a couple things," Karen O said in a statement. "One was that the spirit of collaboration between us was going to be a pure one, and two was that the more I live the less is clear to me. When you create from a blurry place you can go places further than you've ever been. I think we both were excited to go far out." A limited-edition white vinyl 12-inch from the pair will arrive at select record stores on December 14, and while full details of the project have yet to be revealed, the new duo have unveiled a single. The song is called "Lux Prima," and it clocks in at just over nine minutes. "With 'Lux Prima,' we were really looking for a place rather than a sound," Danger Mouse added. "It was our first shared destination so we thought we'd take our time getting there. The song itself is a bit of a journey, but all the parts felt like they needed each other."